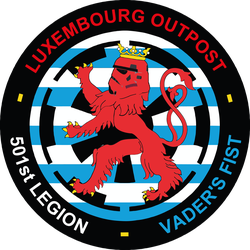 Where all began - 501st Luxembourg Outpost! 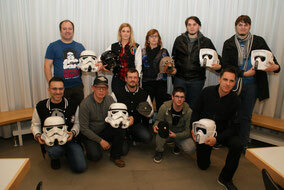 It was March 2015 during the second edition of Luxcon in Tétange (Lux) where some Star Wars enthusiasts from Luxembourg have met and become acquainted. Quickly, the wish to found an Outpost in Luxembourg was addressed. 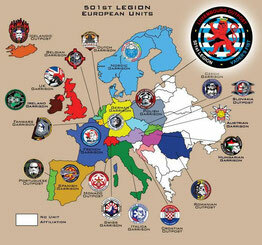 Indeed, most countries in Europe are already represented by the 501st Legion. June 2015 a dream came true, the Empire finally invaded Luxembourg! This Outpost organisation may still be new and shiny but we gladly endorse this journey to represent the 501st by taking parts to events, have fun and taking you to the ‘dark side’ to bring the ultimate "force" closer to you. The number of members has increased very quickly since the founding of the Luxembourg Outpost. September 2016, due to the numbers of the members and for organisational reasons, a nonprofit organization called: Trooperplay ASBL (RCS number: F10953) was founded.